How to Prepare for a Storm? As the mercury rises, so too does the likelihood of a severe storm. In the summer months the savvy are watching the weather alerts,listening to weather radio and keeping their homes storm ready. 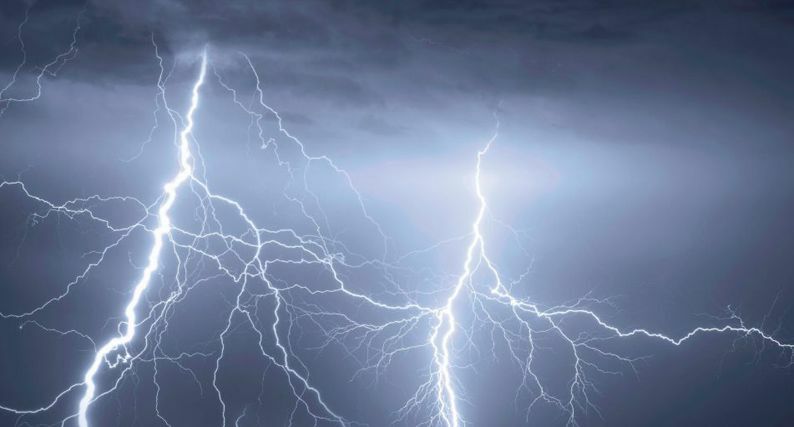 Planning ahead for such weather emergencies is easy; here are 7 precautions that can make a big difference to the potential damage caused by severe storms. Debris and loose items found around the home are one of the major dangers associated with thunderstorms. Debris and loose items found around the home are one of the major dangers associated with thunderstorms. Take time to clear loose materials from around your home. In severe thunderstorms even large items of outdoor furniture, trampolines and roofing can cause damage to windows and cars. Going on holiday? – make sure to secure items around your home before you leave for added peace of mind. Blocked gutters and drains can cause heavy rain to pool and enter homes causing water damage. Also ensure drainage grates are clear of debris and or any blockages such as outdoor furniture especially if heavy rain is likely. Winds in severe thunderstorms can easily break branches off trees or knock entire trees over. If these trees are too close or overhanging your home they could cause damage as they fall. Check with your local council/authority regarding guidelines or required consent before removing trees and always ask a professional tree surgeon for advice. Remember if strong winds are predicted – park your car away from trees where possible. Check with your local council/authority regarding guidelines or required consent before removing trees and always ask a professional tree surgeon for advice. Your roof should be checked annually to ensure there are no cracked or damaged tiles. If in doubt, check inside your roof – if you can see light this may be a sign your roof is damaged. It is important that your roof is clear of dirt and leaves to ensure surface water from a storm is able to drain. Always seek professional guidance when performing any repairs as working on a roof can be dangerous. Want to get some extra reading on storm and fire safety? Does your insurance policy cover you for flash flood, storm water runoff and damage to other properties by falling trees? If you aren’t sure check with your insurance provider. The type of cover is also important depending on if you are a home owner or renter. In a storm, it can be difficult to find everyday items as there may be a power cut or you may be confined within the house. An emergency kit contains all the things you will need in these situations in a sturdy waterproof container. Suggested items to include in your kit: emergency contact numbers, a battery operated radio, fresh batteries, first aid kit, essential medications, bottled water and any important documentation. Keep up to date with the current storms warnings. Ensure you have a battery powered radio so you can hear emergency broadcasts specific to your area, even if there is a power outage. Flash flooding, road closures, evacuation and recovery centres may be critical information delivered via local radio during a severe weather event. Although inconvenient to prepare, it is preferable to have storm safe practices in place should the need ever arise. If the worst does happen make sure your Home and Contents insurance is up to date. For more information on storms, read our article ‘Guide To Avoiding Risky Situations: Storms‘.